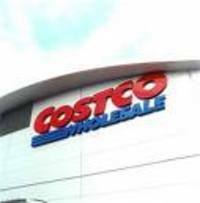 Most of you already know of my family's love affair with Costco. We were in there this Friday picking up some shelving and tables for our home office. I'm not sure what made me look upwards, but I did, and looming right above me was a sparkling white commode. I thought I was dreaming. What is a commode doing 2 isles down from office supplies? 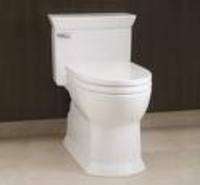 Are there any other Costco visitors out there who have noticed commodes or other strange products at their local Costco? I would love to here from you. I don't want to sound pathetic and as though I don't have a life but I really love shopping at Costco! We all know that you can get some incredible bargains on food and some really cool household and electronic items, but I think my love goes beyond these obvious facts. There is just something about Costco that makes every trip a joy. As a matter of fact a trip to COstco is a fun family event in my household. My 9 year old and I love the endless rows free food samples. Even when all we need is a gallon of milk we take out time eating our way down the aisles looking for some exotic treat. Hubby on the other hand is not too crazy about food samples. What he loves is all the new equipment and electrical devices that Costco has. You just never know what new toys you'll find when you scour the aisles. Did I mention that I am married to a frugal guy. My darling husband gets most of his shirts and pants from Costco. At $14.99 a piece he can load up on 100% cotton dress shirts. Why pay $39.99 at Marshall's when you can get a great quality shirt for half the price. Usually we end almost every trip to Costco at the food court, where can you get a good size hot dog and drink for $1.50. If I happen to be there with 5 of my sons little friends or with my nieces and nephews, I know that I can treat them all to a 'meal' without breaking the bank. My favorite Costco fare are the chicken bakes. I don't even want to know how many calories are in each one. Oh and did I mention their Ice Cream Bars, for a $1.50 you can get the most decadent ice cream bar on earth. A really generous sized vanilla bar is dipped in a vat of chocolate and then rolled around in crushed pecans yum! I am also in denial about how any calories are in that ice cream bar. I am going to be spending quite a bit of time in Costco this holiday season as we prepare to entertain friends and family for thanksgiving, and I am really looking forward to it.